How to live longer is a question many people wish they knew the answer to. But in recent years, more and more research has suggested simple lifestyle changes such as stoping smoking and eating a healthy, balanced diet is key to longevity. 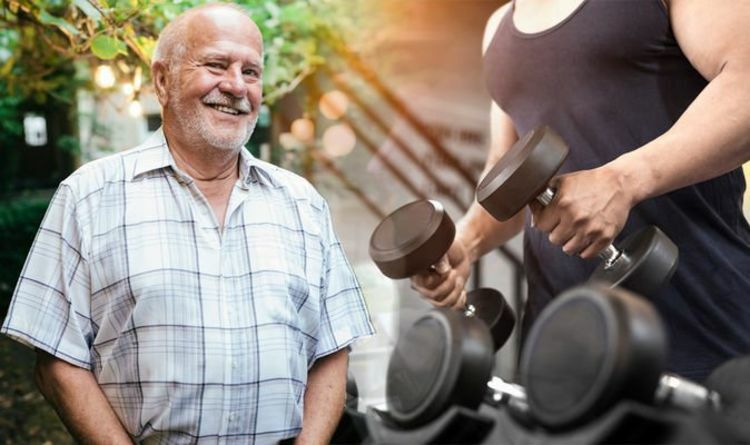 Another way which has been found to boost life expectancy is exercise, and even occasional gentle exercise, such as walking or gardening, can help people live longer, says a study. But being active for longer or participating in vigorous sports has additional health benefits, say researchers. Higher amounts of activity or more vigorous activities – such as running, cycling and competitive sports – are associated with additional health benefits that are not outweighed by the risks of participating in these activities, according to the findings. They calculated the total leisure time physical activity of participants using definitions in 2008 US guidelines, which roughly equate one minute of vigorous activity – such as running, fast cycling or competitive sports – as equivalent to two minutes of moderate-intensity activity, such as brisk walking, gardening or dancing. Compared with people who were inactive, those who participated in just 10 to 59 minutes per week of moderate physical activities during their leisure time had an 18 per cent lower risk of death from any cause over the study period – and the health benefits continued to mount as activity levels went up. US and UK guidelines recommend at least 150 minutes per week of moderate activity done in at least 10 minute bouts, and people who participated in 150 to 299 minutes per week reduced their overall risk of death by 31 per cent. Those who clocked up ten times that amount – 1500 minutes or more per week – almost halved their risk, at 46 per cent lower. Reductions in risk of death from cancer also corresponded with increasing activity levels, according to the researchers. In terms of risk of death from cardiovascular related problems such as strokes and heart attacks, people who were active for 10 to 59 minutes per week during their leisure time saw their risk fall by 12 per cent. And those who did two to five hours per week reduced their risk by 37 per cent, compared with people who were inactive. However, much greater levels of physical activity were not associated with any greater benefits, according to the findings. People who were active for 1,500 minutes (25 hours) or more per week had a reduced risk of death from cardiovascular disease of 33 per cent. The researchers said that people in that group’s risk of death was actually slightly higher than those who met recommended activity levels but undertaking more moderate amounts. They said it was an observational study, and as such, can’t establish cause, and also relied on the participants self-reporting activity levels. But Dr Xi added: “Participation in vigorous-intensity activity is more time-efficient than moderate-intensity activity. Diet can play a big part in life expectancy, and when it comes to cooking oil there’s a certain one you should always opt for.